← THE BLACK MAMBAS FILM IS OUT! VegFest Brighton 2016 took off to a flying start with hundreds of people all queuing around the block. 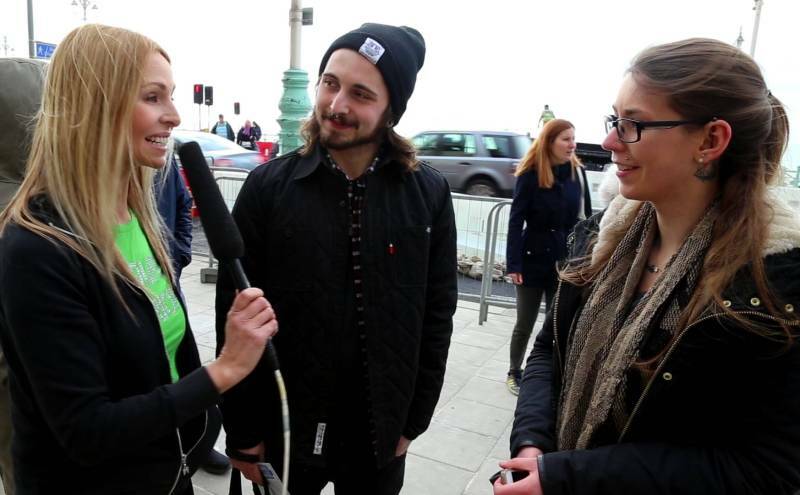 The popularity of this event is growing year by year and it was wondrous to see the beaming smiles of people in the queues, as I filmed them for VegFest’s Brighton Film 2016. There were even people from abroad, who had travelled to the UK especially for VegFest….unbelievable! 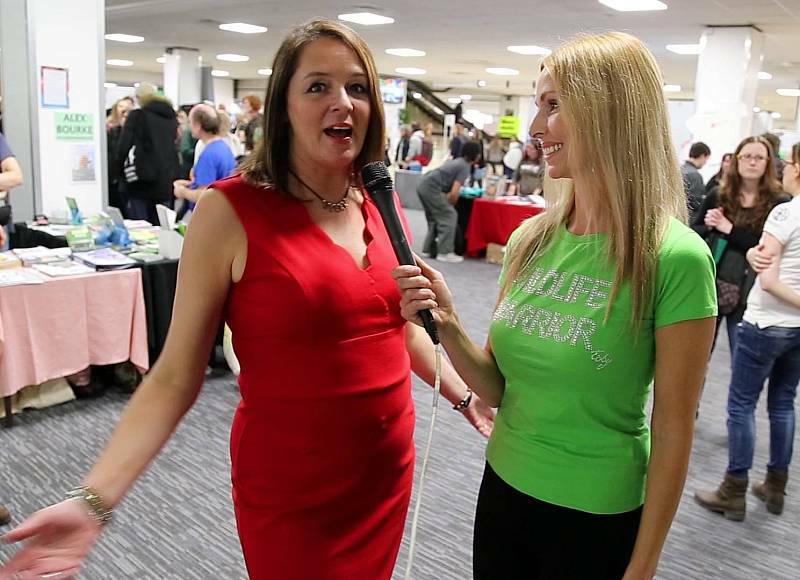 I spoke with dozens of VegFest fans and found out their thoughts on veganism and compassion towards animals. I also spoke to some of VegFest’s youngest supporters who were very young indeed, but still knew their stuff thanks to some brilliant parenting. I caught up with lots of VegFest celebrity regulars including resident vegan funny-man Jake Yapp who had me in stitches with everything he said….an absolute delight and talent. Vegan model Alex Walker was on hand to talk to me about the motivations behind his change to veganism which started with fitness and then lead over to a deep compassion to animals. Now where would Vegfest be without their lovely PR Karin Ridgers of Veggie Vision, we had a chat about her thoughts about compassion towards animals and how VegFest ties in with this sentiment. As well as filming, we took a break to judge The FxEctive Factor, VegFestUK’s Vegan alternative to the XFactor. 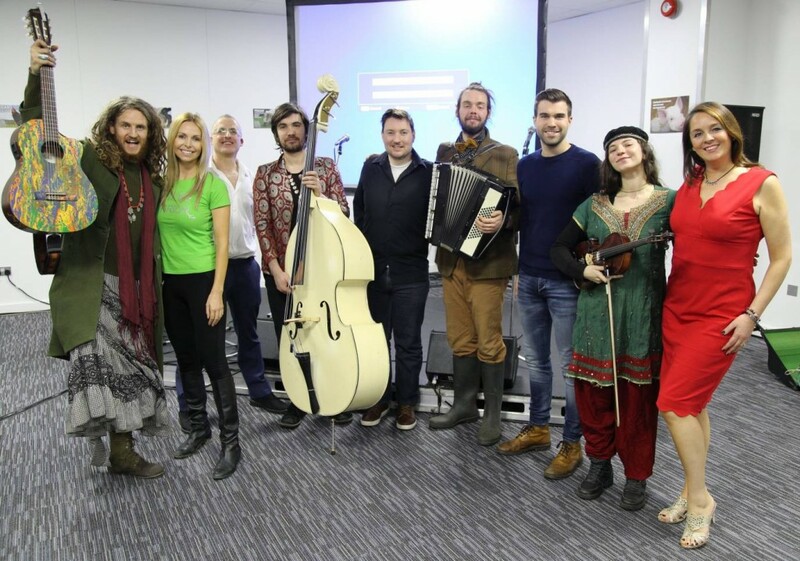 Entrants had been asked to compose a song or poem which was effective in promoting a strong and powerful message which would help an animal cause or promote veganism. Presented by Veggie Vision’s Karin Ridgers and judged by yours truly and my amazing co-panellists Jake Yapp and Alex Walker. Some of the acts were astoundingly good. Ian Hayward’s moving and gentle rendition had the hairs on my arms standing up on end, this combined with his accompanying video was very powerful. Philip Elston’s brilliant costume changes brought some entertaining black comedy into his strong recital of moving poetry on hunt sabbing. One Man and his beard had me dancing along, as his punky rendition to saving badgers was uplifting and drove the message home extremely well. VegFest’s home grown Pig Freud was gorgeously sweet as usual and his melodic music carried me along, as humorously his pants slid down his legs revealing a stub belly button which could have easily been mistaken for something else! I was practically crying tears with laughter as well as enjoying the wonderful music. I loved it! Jack Dean was slick as usual, with well rehearsed and brilliant lyrics driving home veganism and helping animals. I could listen to him forever. Mobius Loop blew my mind with their outstanding and entertaining circus-like act which accompanied a Gypsy sounding smorgasbord of incredible and unbelievable music. All acts were amazing, but Mobius Loop won, as their wonderful entertaining act had managed to not only blow the judges away, but had also filled the room, people were simply pouring in. The audience were beaming, kids were dancing and I couldn’t take my eyes off them. Accordions, violins, bass and vocals, it was SPECTACULAR! Truly engaging, thus getting their message across extremely well. It was like the story of the sun warming the man versus the wind blowing his clothes off. These guys would warm anyone into veganism with not a shred of force or preaching. The wonderful thing about this year’s VegFest was that there was an array of conservation and compassionate films being screened in the cinema upstairs including Unity, Earthlings, Cowspiracy and Evolve. Being a conservationsist and film maker myself, this was close to my heart. I really truely feel that the media is the way forward to promote and push compassion to animals….and we need to do it now before its is too late. Global warming is getting worse, the population is rising and unless we spread the word that the world needs to eat a sustainable plant based diet, then I fear for disaster in the future, so come on all you budding film makers, lets all join together and get the word out! It was amazing then that I happened to bump into my dear Vegan film maker friend Maria Slough who had a chat with me about why she feels conservation films are the way forward. Finally I had time to have a chat with Vegan musician Jarvis Smith whose music has been made to inspire people to think more carefully about love, compassion and the world. What a lovely man he is and what a lovely family he has too. 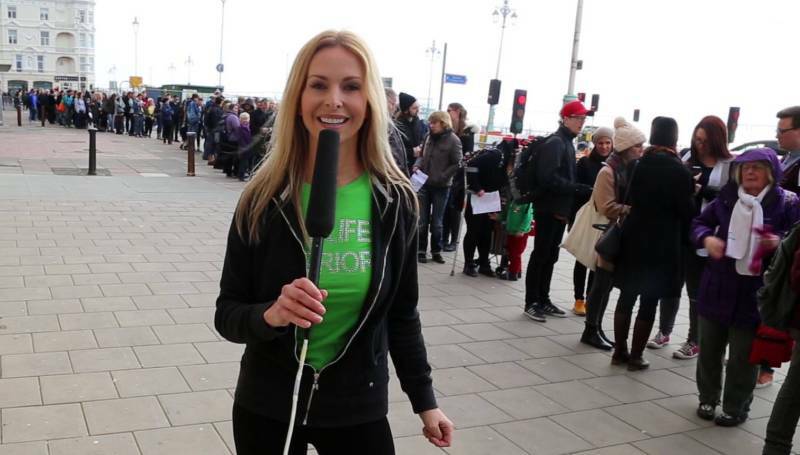 Watch out for the Official GreenWorld TV VegFest Film which will be covering a huge array of celebrity guests and animal causes this year! We will also be showing recordings of the FxEctive Factor also, so watch this space.